Disney Channel came out with the movies Brink! (exclamation point absolutely necessary) , Johnny Tsunami, and Zenon: Girl of the 21st Century. This was clearly the high point of Disney Channel original movies. You can let me know which great ones from this era I left out in comments. I just picked three. Ms. Frizzle held it down teaching what had to be the educational equivalent of Charles Xavier’s School for Gifted Youngsters with the Magic School Bus. Seriously, how much secret government technology did she have access to? How were these children chosen to be a part of such an advanced educational program? If the show ever answered these questions (or if I had them as a kid) I don’t remember. Feel free to educate me. TJ Detweiler and crew created the greatest cartoon ever with Recess. I went back and watched the entire series during finals week in college. Still just as good. So many good memories from that show. Dirt Clod War, the Kindergartners, Ms. Finster, Spinelli being an Ashley, dodgeball legend Gus, obviously I could go on. Michael Jordan and Bugs Bunny teamed up to stop the aliens from taking the Looney Tunes in Space Jam. Will Smith and Jeff Goldblum (who also did Jurassic Park) stopped some other aliens from taking earth with Independence Day. Will Smith also starred in The Fresh Prince of Bel-Air and saved us from aliens again in Men in Black. Really you should just Google best movies and shows from the 90’s. There’s too many to list. The 90’s is when Pixar started making films for Pete’s sake. N’Sync and Destiny’s Child started in the 90’s. I didn’t intentionally listen to either of them (or really music at all), but they were so big they were impossible to miss. 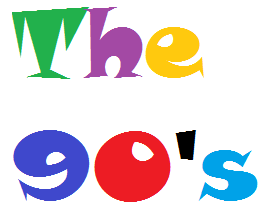 A bunch of other music stuff happened in the 90’s. I just picked two hugely popular examples. Super Nintendo crossed the mighty Pacific and changed the world as we know it. On a related note, I wish more electronics would start working after simply blowing on them. The picture below is Nintendo’s remake, the SNES Classic Edition. Bop It and Bop It Extreme were bizzare at first but quickly became addicting. Same goes for Skip-It. People still love the Inspector Gadget Happy Meal Toy set so much that they are paying hundreds of dollars for it now. At the time it was released, the McDonalds in my hometown created a little market where people could exchange pieces in the hopes of getting the whole thing. It was a great day when we were finally able to fully assemble him. The Beanie Babies craze was on another level. FUBU and Tommy Hilfiger were two clothing brands that gained prominence. Fashion trends like jean jackets, tying that jean jacket around your waist, and wearing jeans with a jean jacket were popular. Lots of denim. I hated math as a kid but Math Blaster games were pretty fun. World culture and geography were secretly taught by Where in the World is Carmen Sandiego? And Mavis Beacon will be teaching typing forever. Everyone tried to skateboard like Tony Hawk, learn how to do yoyo tricks (walk the dog, shoot the moon, baby in the cradle), keep their Giga Pet alive, and be friends with the kid at lunch who always brought Dunkaroos. It must be admitted that every era has its sins. Unfortunately we saw the creation of the Furby and many of us even bought them. To future generations, we are sorry. We didn’t know what we were doing at the time. We hope you can forgive us. I left out much, much more than I included. Feel free to add your own. In all seriousness, I think people are generally nostalgic for periods of time that were simpler or more meaningful for them. Each year, decade or era has plenty of its own triumphs and failures. Any serious study of history will show this to be true. People generally tend towards thinking the world is either getting worse or better. The reality is both. In some ways it is worse than it was, in others it is better. And what is better and what is worse fluctuates by time and location. People in my generation look back on the 90’s fondly because, for the most part, we were young enough not to be aware of or dealing with all of the complexities of the world we live in. Trying to figure out which button to press at the right time to keep your virtual pet alive is much less stressful than figuring out who can take of your real pet while you travel for the holidays. There are a hundred other examples of this we can all come up with. I also think to some degree the accessibility of the internet and increase in mobile communications has made everyone more aware of what is going on in the world at large. We may think that there is more of some particular negative aspect of life in the world than there was before, but the reality is that most likely we are simply more aware of it now because of how connected the world is and how easily anything can be recorded and reported. This is not meant to bash the nostalgia of simpler times. Remembering simpler times in our own lives is fine but painting with a broad brush and declaring our simpler time better for everyone is naive. The same goes for the nostalgia of meaningful times. There have been or will be points in our lives when we find ourselves involved in something that we feel is of great importance. Notable examples would be WWII, the Civil Rights Movement, or perhaps on a more personal level missionary work or raising children. After participating in something that feels bigger than ourselves on either a national or personal level, the temptation could be to say nothing of similar importance or meaning is happening now. I believe a healthy challenge to accept and perspective to take is appreciating both the present and the past. Enjoy the nostalgia for what it is worth, recognize it is different for each of us, and find what is worthy in the present.